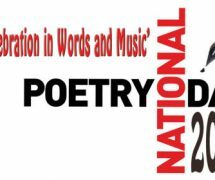 Home » News & Views » Things To Do » National Poetry Day! Who knew that poetry had it’s own special day? A day where we can all appreciate and embrace poetry in every way. October the 3rd is the National Poetry Day. It is held every year on the first Thursday of October. 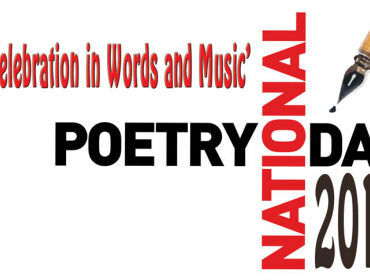 The theme of National Poetry Day 2013 is ‘water’. I had a go of writing a poem or two in honour of today. Watch how it flows faster then slows. or the inspiration to compose. Water is the Winter’s rose. Catch the raindrop as it drips off your nose. is destroying a fire, feeding nature, nurturing people. Water has a way to inspire. For me personally I see Autumn as a beautifully poetic season. Poetry is writing and rewriting. It’s also about embracing and analysing. Words combine together, with or without reason. It could be about feelings or even the weather. Poetry has the ability to move people. It can unite us all together. It can be written from her or inspired by her. it’s at the heart of Autumn. the chill in the air, is blown through your hair. as you face your day, today. Not like they were back in May. There’s very few cars on the road. and seeing how their branches twist. but are caught by the damp paving. They crinkle and crack under your every step. Lanterns burn in the night sky. It’s time for the ghosts and ghouls to drop by. Autumn is a poetic time. Everything around is bursting with rhyme. we should take the time to appreciate it. And just take a breath. There’s just two of my poems, I’ve written a few. But I thought I’d share these with you since they were both new and relevant. I hope you all have a very Awesomely Autumnal National Poetry Day!